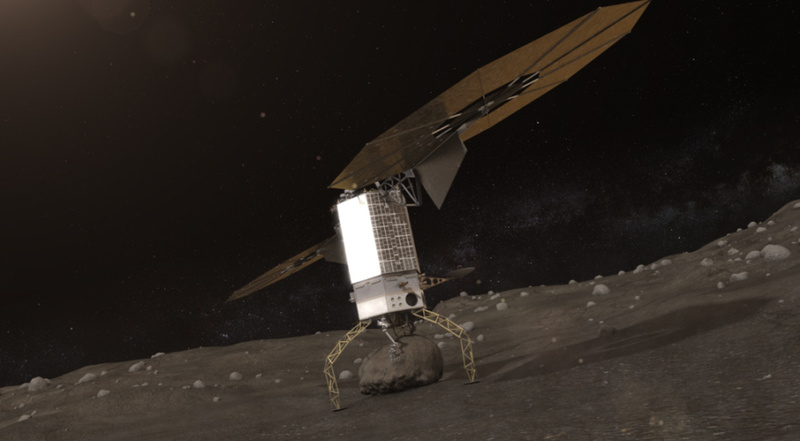 WASHINGTON — The full House Appropriations Committee will take up a spending bill May 24 that would provide a windfall for NASA’s planetary science program but prevent the agency from spending any funds on its proposed Asteroid Redirect Mission (ARM). The committee released May 23 a draft report accompanying its commerce, justice and science (CJS) appropriations bill, which an appropriations subcommittee marked up May 18. That bill provides $19.508 billion for NASA in fiscal year 2017, but included few details about spending allocations within major NASA accounts, or other provisions. Besides increases for NASA’s Space Launch System and Orion specifically included in the bill, planetary science emerges as a big winner. The report allocates $1.846 billion to planetary science, $327 million above the agency’s request and $490 million above the level in a companion bill approved by Senate appropriators last month. Most of that increase will go to fund a mission to Jupiter’s icy moon Europa. The bill provides $260 million for work on that mission, still in its early phases of development. NASA requested less than $50 million for the mission in its request, and the Senate bill does not set aside any money for it. The House report also includes an additional $30 million for the Discovery program of low-cost planetary missions. It urges NASA to select two missions in an ongoing competition, something the agency has previously said it is considering based on available budgets. The report also calls on NASA to select two proposals every four years in the future. Offsetting the increase in planetary science funding is a cut in Earth science, for which the House report offers $1.69 billion, $342 million below NASA’s request and $294 million below the level in the Senate bill. The report did not go into details about specific cuts within the program, but did call on NASA to prioritize spending on Landsat-9 and a joint U.S.-India synthetic aperture radar mission. The exploration account does include $75 million for work on deep space habitats, a program that Congress appropriated $55 million for in 2016. NASA announced in March plans to award a second phase of contracts under its Next Space Technologies for Exploration Partnerships (NextSTEP) program, which includes habitat module studies. The report does not specify a funding level for NASA’s commercial crew program, for which NASA requested $1.18 billion. The report notes that appropriators are “concerned” about slipping milestones for the project, and it requires NASA to inform the committee should those slips affect planned 2017 test flights. Boeing indicated earlier this month that it has postponed a crewed test flight of its CST-100 Starliner vehicle until February 2018. The CJS bill will be marked up by House appropriators May 24, and at least one member plans to introduce a NASA-related amendment. In a statement issued late May 23, Rep. Mike Honda (D-Calif.), ranking member of the CJS subcommittee, said he will introduce an amendment to increase NASA Earth science funding, although he did not say by how much.